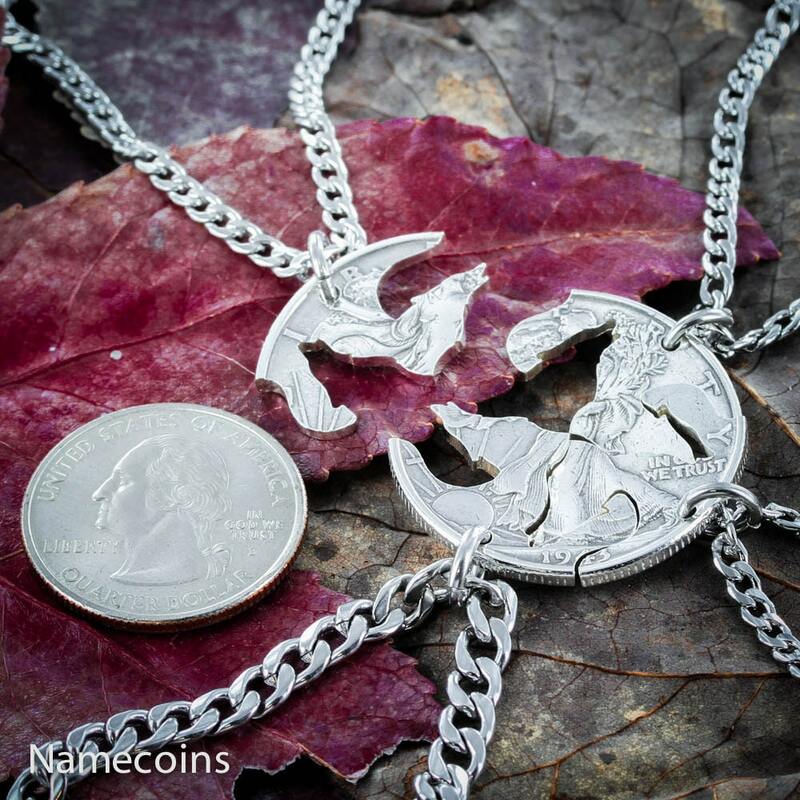 All 4 of these wolf necklaces fit together perfectly because they were cut by hand from the same piece. 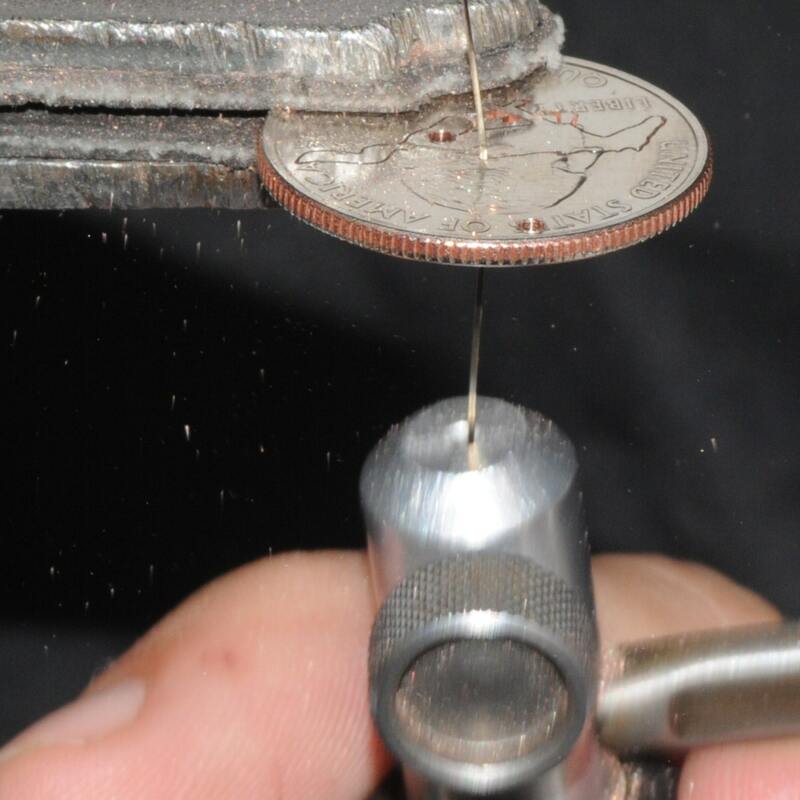 Its cut from a half dollar. 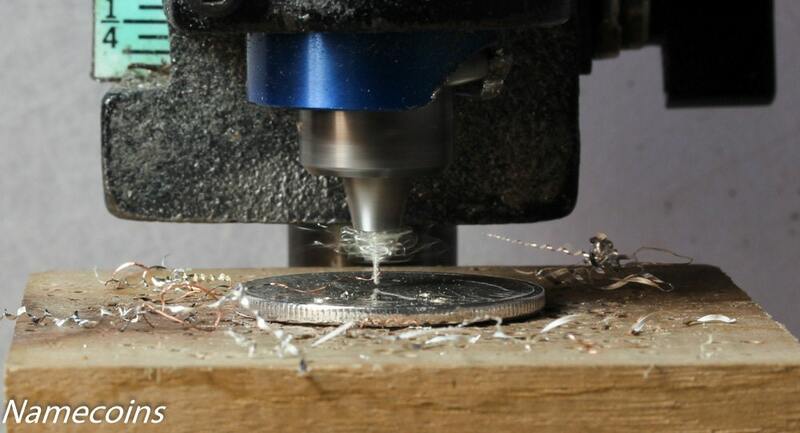 The picture shows the silver half dollar option. 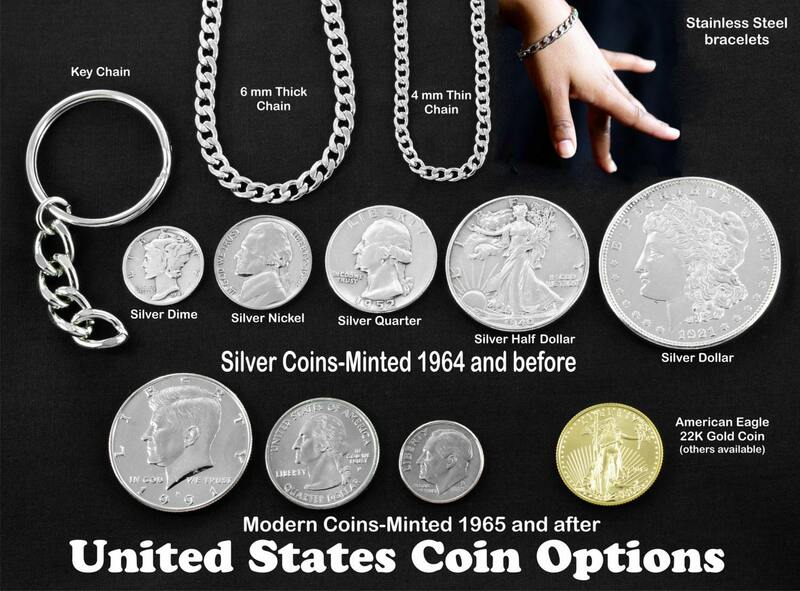 You may also choose a modern half dollar or a real silver dollar. 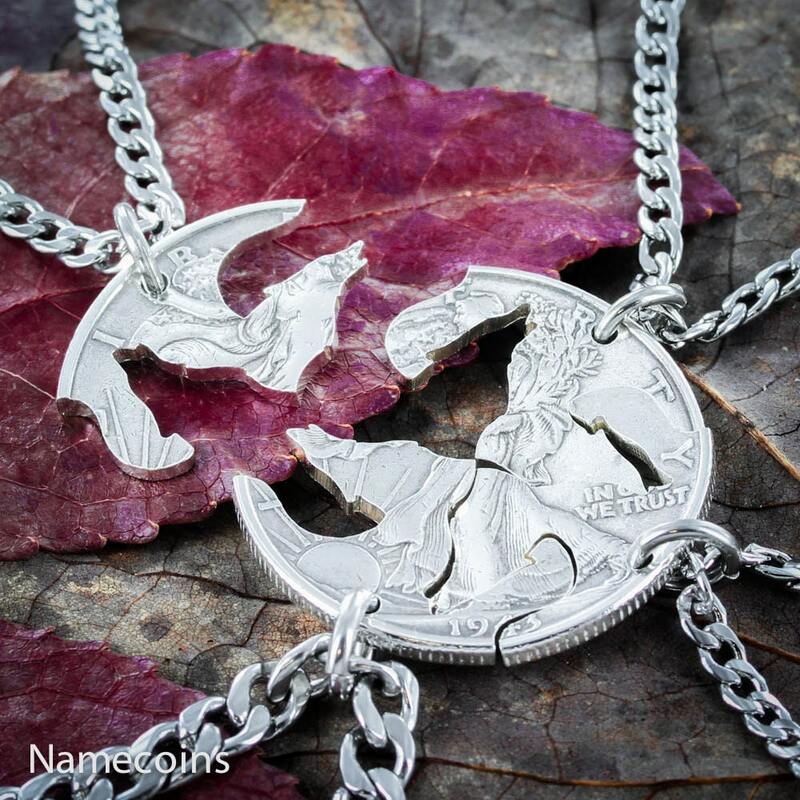 We are the #wolfpack ... we have our necklaces on(obviously can’t see them in the pic)... they turned out absolutely stunning! Thank you NameCoins for the beautiful work and care you put into these! A really special item! Thank you for the excellent service!